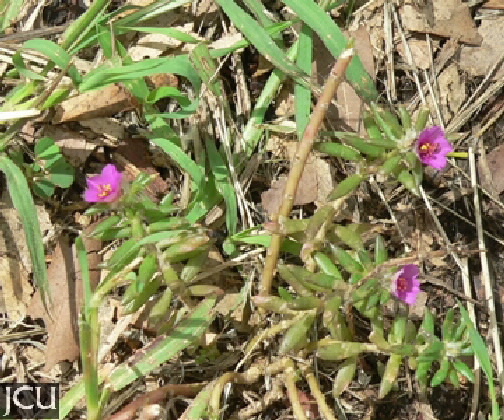 A small prostrate plant with narrow succulent leaves to 2 cm long. The pink to purple flowers, which are surrounded by hairs, are clustered in the leaf axils. The specific epithet is a reference to the presence of these hairs.